True to our word, we didn’t waste any time in putting our new students to work! The Class of 2017 was welcomed to the department with a six hour Futuring Workshop, led by Elliott Montgomery, co-founder of The Extrapolation Factory. An imagination-based studio for design-led futures studies, The Extrapolation Factory develops experimental methods for collaboratively prototyping, experiencing and impacting future scenarios. After an introductory lecture presenting three conceptual frameworks for talking about and imagining the future, students were launched into their first assignment: imagine what the future of communication might look like. Based on a selection of factual prompts about emerging technology (for example, "computer-brain interfaces will allow patients in medically vegetative states to communicate"), statistical estimations of developing trends (by 2020, life expectancy will have increased by a decade), and growing fields of research (genetic engineering), each group of students was asked to envision a new type of communication that these realities might make possible. The heart of the assignment was in the flurry of activity that followed: Within just four hours, the student groups conceptualized and designed a device, and built representative prototypes, and gathered user feedback in front of the Flatiron Building. The day taught our students just how quickly ideas can be formed, realized, tested, and then improved (or revised, or discarded), and impressed upon them the power of tangible artifacts in facilitating users’ ability to react and respond to hypothetical futures. So, what does the future of communication look like? Scroll down for the students' hypotheses! How could biological signal-sharing and glowing plants change the future of communication? 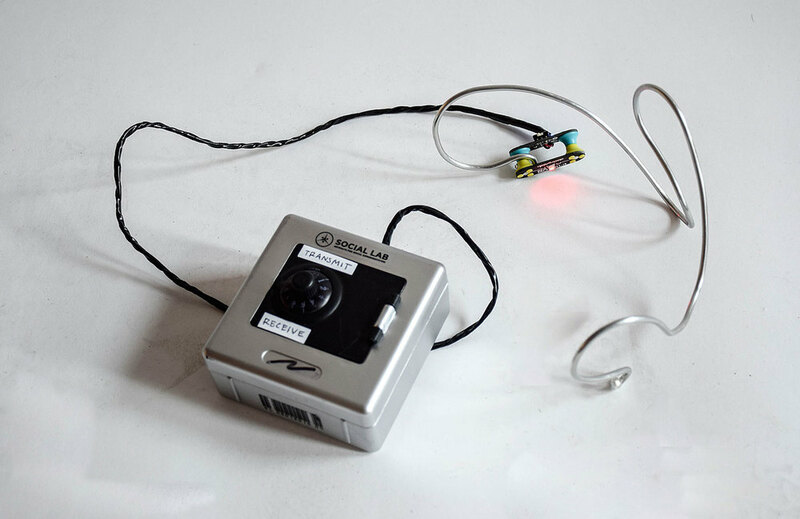 Secret Garden takes advantage of biological signals using“bi-fi” and phosphorescent plant technology to create an intimate new communication method between two individuals. By scanning two people’s personal bi-fi signatures, Secret Garden facilitates the transfer of ‘secrets’—or short pieces of private data—between users through a touch interface. The plant embedded in the portable transfer device is genetically engineered to glow in response to a bi-fi signal, glowing brighter the more often two signals interact, signaling particular intimacy between users. Building on the idea that technological developments will soon allow patients in medically vegetative states to fully communicate with the outside world via a computer-brain interface, HeyHoLo is a full brain-scanning headpiece and hologram projector set. This set provides a link between two users communicating at a distance. The headpiece analyzes the brain activity of the one end user, capturing his/her thoughts, emotions, and movements. This information is processed into a life-sized hologram image projected to the other end user. HeyHoLo transcends the limits of physical distance, mobility, and disability, getting you closer to intimate, in-person interaction. If emotions could be recorded and shared, would it allow disparate parties with opposing views to find a common ground? Could we achieve true empathy and avoid escalating conflict by seeing each other’s point of view? Waves is designed to give users the ability to record and share emotions as a means for generating mutual understanding. A metal headset, acting as both a brainwave antenna and signal generator, is connected to the Interpreter Clip. 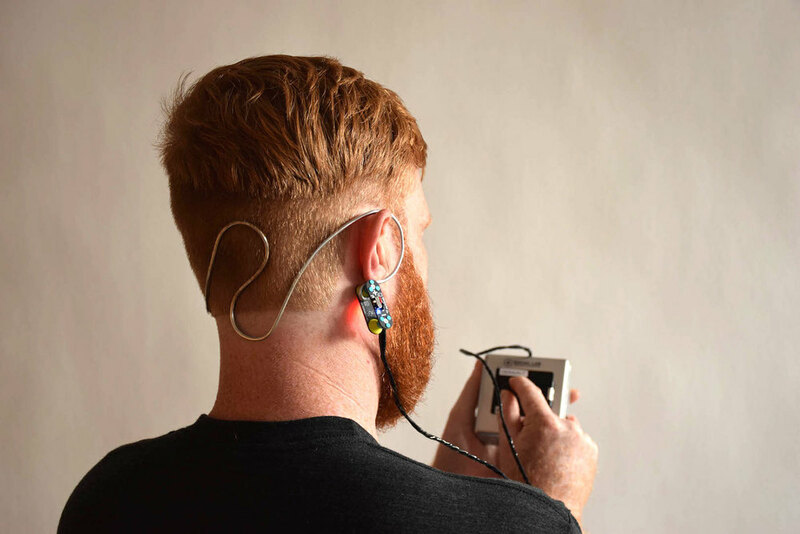 The Interpreter Clip converts brainwave data into a digital format before sending it to the Wave Box, which records, stores, and plays back the thoughts and emotions of the user. The wearer can either record their thoughts and emotions or listen to those of their counterpart by selecting the appropriate setting on the Wave Box. Scientific research has discovered the ability to alter emotional characteristics of lab mice by exchanging microbiomes in their guts. 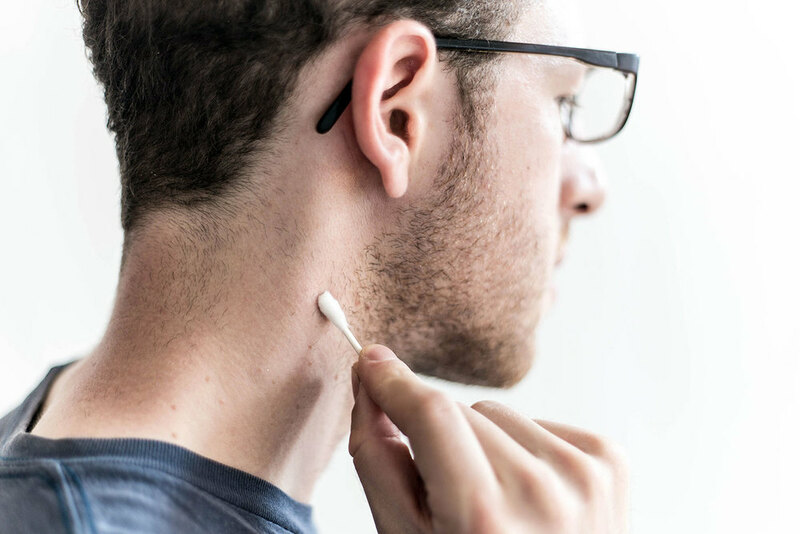 Utilizing this research, a group of designers has created Symbiomsis, a speculative communication device for a future in which verbal interaction has been lost due to the overuse of social media and digital technologies. 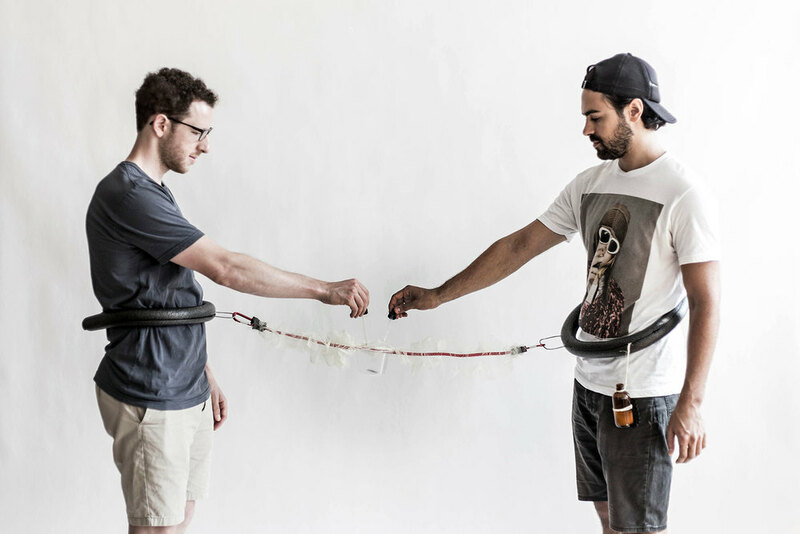 Symbiomsis allows users to connect via an umbilical-like cord through which they would share a fluid synthesized by their personal microbiomes. By facilitating a physical exchange of emotions. Symbiomsis reestablishes intimate, emotional communication. Can the weather tell us how to avoid disease? 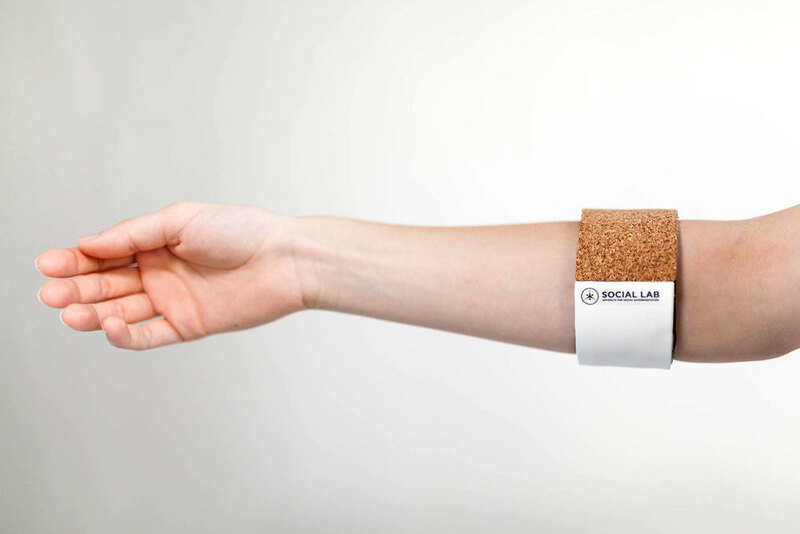 Inspired by research that has found a link between the epidemic of bacterial meningitis and the dry season of the Sahel region in Africa, designers have created Dü, a wristband and respirator set that enables a new form of communication with the environment. 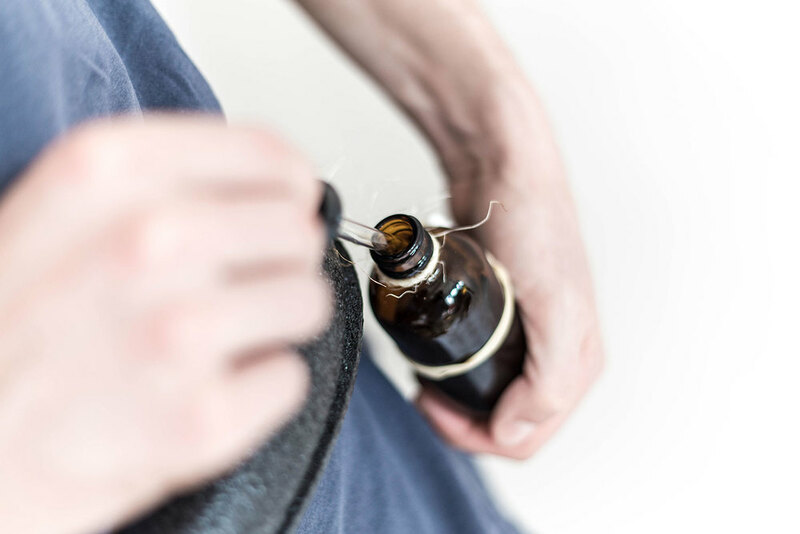 Dü band is a cuff made from humidity-sensitive polymer, which remains white and supple as long as the humidity level is at 40%, when conditions are unlikely to foster the spread of disease. As the humidity level drops, however, the material dries and browns, drawing attention to worsening environmental conditions. 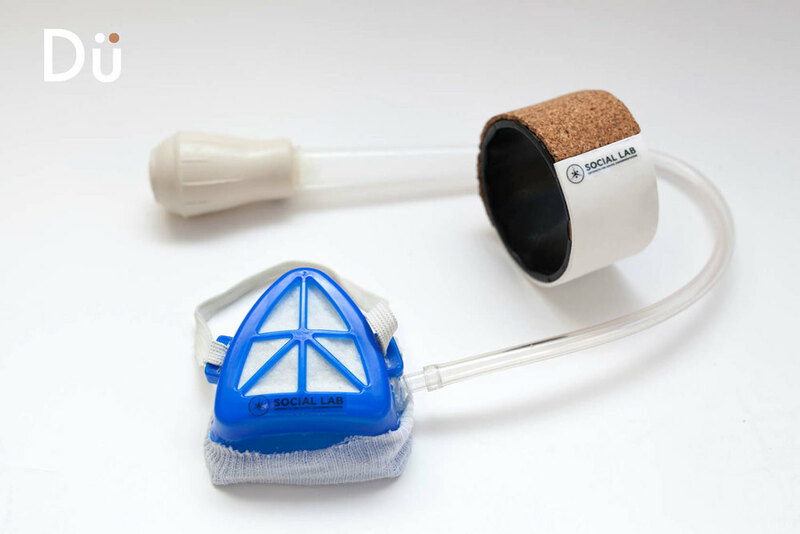 The Dü respirator allows users to respond to a drop in humidity by creating a more humid personal environment, containing their breathing, and thereby aiding in the prevention of disease and infection throughout a community.